Dannu's debut solo album Virgo Summer (which dropped early this year) gave us the chance to experience a season of laid-back vibes with an intelligent and analytical yet straight-forward individual. Nevertheless, this poet's talent sure as hell ain't seasonal and has been keeping fans musically fulfilled for years. 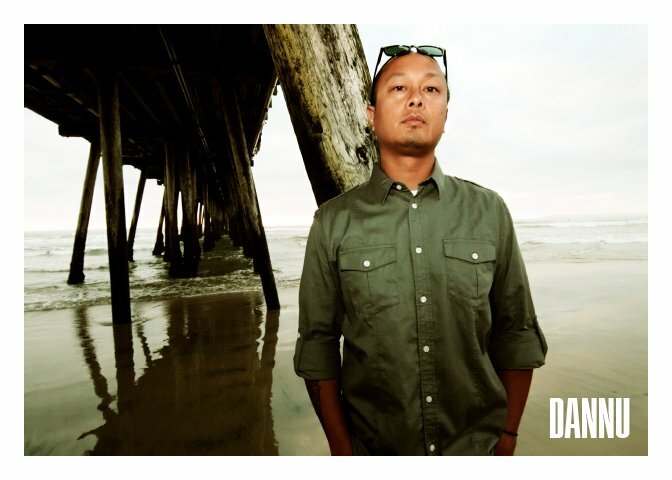 The Visionaries MC and co-founder provides TheHinH with an in-depth look at his journey through Hip hop and what continues to drive him. The Hip hop in Her (TheHinH): What drives you to keep making music when you've already achieved so much? Dannu (D): I don't feel like I have accomplished half of what I am capable of...but since I base a lot of my music on life...life drives me to express through music...and that's the drive....life. TheHinH: What would you say was the turning point for you in becoming a hip hop artist? 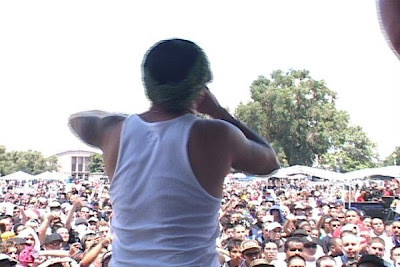 D: When I moved to LA from SD in '92, I told my parents I was moving up to go to college (which was true as I enrolled at Long Beach State), but in reality it was to be closer to the bigger music scene there...and I dove in. TheHinH: Who were your first music icons? What role did they play in molding your personal music style? TheHinH: How important is it to have experienced being in a crew? D: It has its pros and cons, but the biggest thing to me was the diversity of the people. We learned to become a family of music and understood what we could ultimately give to the world....and that was LOVE no matter what your background was. Musically, we pulled each other's strengths and refined them to fit in our sound. TheHinH: How about maintaining crew even when you're on the solo tip? We all understood that ultimately we were a crew, but as the albums stacked and the fans began backing our crew, it went from crew to group...and we ALL know that the fans back the group more than the solo joints. As musicians though, we needed to do solo joints. It's healthy. Some needed to do it more than others...but that's life. TheHinH: The Visionaries have worked with an impressive roster of heavy hitters like Nas, Common, Mos Def, Talib Kweli and the like; who else would you like to collaborate with? D: On most of our albums or solo albums, we always had at least one song that had several MCs from old school to current groups. I would love for the Visionaries to do a song or album with the Beat Junkies with our lyrics and their DJ and Producer skills. If it was a master producer album, I would like to see what we can do with Premier or Dre or my favorite band The Roots. 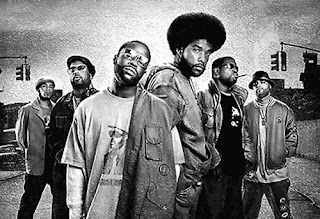 The Legendary Roots Crew and The Visionaries on wax? There are no words for how sick that would be. TheHinH: You're considered a veteran artist. Which new school heads impress you the most? D: Blame One isn't considered new school to me, but his time is coming so check for him....there's a few others from LA and SD, but lets keep it simple. According to Dannu, Blame One's "time is coming". Here's a lil' somethin' somethin' for those that don't know this fresh MC. TheHinH: How connected are you with your Filipino ethnicity? What's the most "Pinoy" thing you can share about yourself? D: Wow dat's a berry weirdo question, you know, did you know dat I was trying to be on da wow wow wee but I only got da wow wow wubsy? LOL. 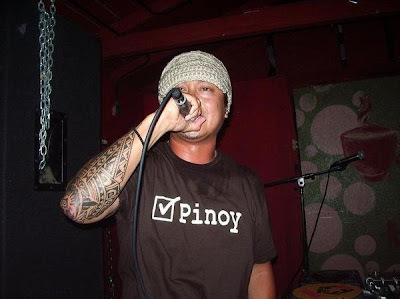 Seriously, I am a very proud Pinoy and several years ago, to show my pride, I was inducted in the Apat Na Alon Tribe aka Mark of the Four Waves tribe and had a tribal band on my right forearm. My parents are from Baguio and La Union Rosario so trust me when I say I have been a proud Filipino since I was younger. I understand the Ilocano dialect, but need to learn Tagalog. My cousins are Pangasinan...I love my Pilipino community! Manny Pacquiao is my hero and I hope to do songs with other artists down there. TheHinH: DJ Rhettmatic [fellow Visionaries member] made it out here for The Do Over: Manila. Any plans to visit the motherland? D: I have been wanting to go back for awhile now. Maybe you can bring me and Rhett back someday! 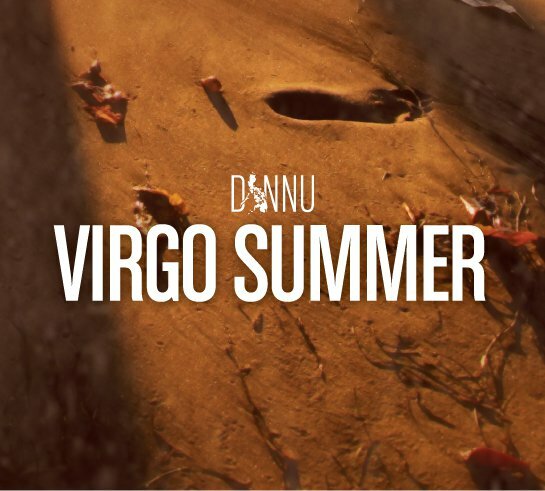 TheHinH: Though the Virgo Summer sun hasn't set for us avid fans just yet, what can we expect from you next? Debut solo album still available on iTunes, www.accesshiphop.com, www.fatbeats.com, etc.